The number of the month is 100! Things really start changing in the gardens of Tucson once our temperatures permanently drop below this number, which should be happening soon. 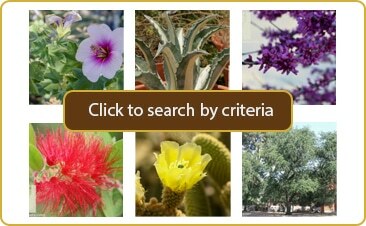 Get ready to let the dirt fly with Civano Nursery’s guide to September gardening in the low desert! Winter veggies: broccoli, Brussels sprouts, cauliflower, and potatoes. Plant garlic, and onions later in the month once temperatures have cooled. Herb seeds: once temperatures drop below 100°F sow seeds of anise, salad burnet, calendula, chamomile, chervil, cilantro, cumin, dill, fennel, parsley, and sorrel. Cut back prickly pear or cholla plants that have been severely damaged by an insect infestation or disease to an unaffected portion of the plant. This will give them a chance to put on some healthy fall growth when these insect and diseases are less active. Divide daylilies every 3-4 years in September if they’ve become too crowded and you live in a cooler part of the region. If you live in a warmer area don’t divide daylilies until temperatures have cooled down in October. Roses: prune lightly after temperatures have dropped below 100°F. Remove dead or diseased canes, remove canes coming up from below the graft, pluck off yellow or unhealthy leaves, and remove all of the fallen leaves from underneath the plant. Watch for any hollowed-out canes as you’re pruning. This is a sign of cane-boring insects. Cut the cane back until you see no more sign of the damage, and apply some white carpenter’s glue to any cuts that were made on living canes to keep borers from re-infesting the shrub. Summer-flowering, cold-hardy shrubs: prune back this month to reshape, thin, or control size. Summer-flowering shrubs that are frost-tender can be deadheaded, but don’t cut them back severely this month, save that for springtime after all chances of frost have passed. Don’t prune any frost sensitive plants this time of year. It’s best to not encourage any new growth on these plants until after winter has passed. Plant winter veggies: broccoli, Brussels sprouts, cauliflower, and potatoes. Plant garlic, and onions later in the month once temperatures have cooled. Established trees: water once this month to a depth of 3 feet, less mature trees can be watered twice this month to the same depth.